A carbide bur is a rotating tool that is used for removing material. More specifically, a carbide bur can be used for deburring, cleaning, finishing, smoothing, shaping, and carving many types of materials. 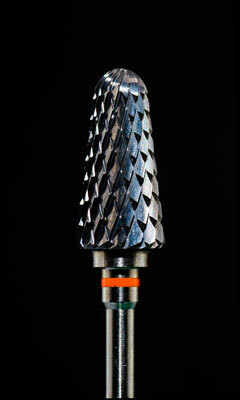 Basically, the carbide bur rotates at a very high speed, enabling it to manipulate the material it is working on. Carbide burs are very versatile tools, and they are used by a wide variety of people. They are commonly used in dentistry, diamond cutting, jewelry making, and auto head porting, as well as equine dentistry, sculpting, welding, and windshield repairing. Of course, carbide tools come in as many variations as the jobs they are able to do. So it makes sense that the type of carbide bur you choose will depend upon the job you expect it to do. Carbide burs traditionally come in standard cut, double cut, and non-ferrous models. The most common types of burs are single cut burs, which remove the most amount of material. The drawback to using single cut carbide burs is that they leave a rather rough finish. Single cut carbide burs are commonly used when working with cast iron, steel, copper, brass, and other ferrous materials. Double cut carbide burs can be used at slower speeds, and produce smaller chips. They remove harder material more rapidly than single cut burs, and offer more operator control. Depending upon the shape and size of the bur you choose, some will leave a very smooth surface on your material, while others will leave a less smooth surface but might remove more material. Non-ferrous carbide burs are exactly what they sound like. They are specialized burs designed for using with non-ferrous material, like aluminum, copper, and magnesium. Carbide burs come in many sizes, from 1/16-inch all the way up to 1-inch. 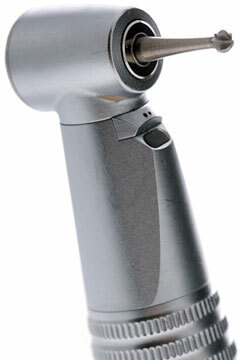 The size of the bur will depend upon its application. As a general rule, finer work that calls for smoother surfaces, like cutting diamonds, or dentistry, calls for smaller burs. If you are working with larger pieces of material, and it's more important to remove the most material in the quickest time possible, a larger bur is called for. While most carbide burs can be used at a range of RPMs, the rotational speed at which you use your bur will depend upon the application. Most carbide bur manufacturers can offer guidance when it comes to the speed at which you should use your carbide bur. Carbide burs also come in a variety of shapes, including cylindrical, ball-shaped, oval, round nose tree, pointed tree, flame, 60-degree cone, 90-degree cone, tapered cone, or inverted cone. This web site, Carbide-Burs.com, provides information you can use when choosing your carbide burs. 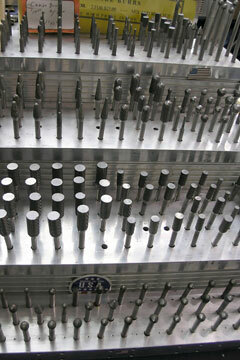 In addition, it lists bur manufacturers where you can find extensive information about carbide bur applications. A carbide is an inorganic compound in which carbon is combined with a metallic or semi-metallic element. Refractory carbides, formed by combining carbon with tungsten, vanadium, silicon, or boron, are very hard. The hardness, high melting points, and chemical resistance of these carbides make them well-suited for use in cutting tools and as abrasives. 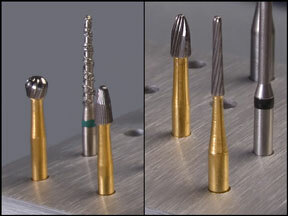 Advanced Carbide Tool Company - specializes in the manufacture and repair of carbide burs. American Carbide - carbide end mills, carbide burrs, and carbide router bits. Pfingst - Busch Carbide Burs - United States distributor of Busch dental burs. CarbideBur.com - wholesale supplier of carbide burs, end mills and accessories. MacDonald Carbide - full-service tungsten carbide manufacturers.